Bacardi's commitment to being a responsible corporate citizen is guided by its values of Trust, Passion, Caring and Excellence. 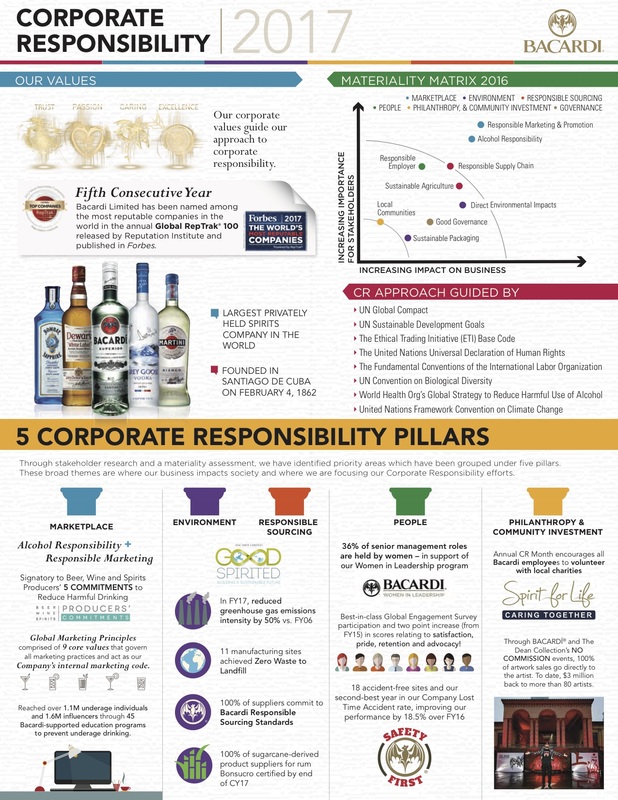 Check out the company’s corporate responsibility (CR) one-pager to see how the largest privately held spirits company in the world approaches CR. To read more about Corporate Responsibility within Bacardi, visit the Corporate Responsibility section at https://www.bacardilimited.com/corporate-responsibility/.